Distinguished Professor Emeritus Marc Schenker out in the field, where he investigates causes of illness and injury among agricultural workers. The Journal of Agromedicine has named Marc Schenker its “Leader in the Field” for 2019. Schenker, distinguished professor emeritus in the Department of Public Health Sciences, has more than 35 years of experience in medicine and public health research, teaching and public service. A physician, he investigates causes of illness and injury among agricultural workers, such as dusts, pesticides and heat. “Prior to coming to UC Davis, I had no real interest or experience with occupational health of agricultural workers, but when I arrived it was clear that it would be a priority, since I was at the Number 1 agricultural university in the world,” Schenker said. During his tenure at UC Davis, he has worked not only with farmworkers and their families, but also with owners and managers, with a particular focus on the occupational health outcomes of immigrant farmworkers. 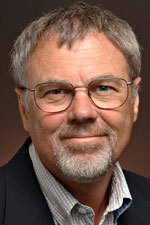 He is the founding director of UC Davis’ Center for Occupational and Environmental Health, Western Center for Agricultural Health and Safety, and Migration and Health Research Center. Like many emeriti, he is still quite active. For example, at the Center for Occupational and Environmental Health, he is the principal investigator on a number of contracts. And, at the Western Center for Agricultural Health and Safety, he has an active pilot project to quantify the occupational health risks to cannabis workers in California, and he remains the PI on the California Heat Illness Prevention Study II (CHIPS II). Honeybee geneticist Robert E. Page Jr., a UC Davis Ph.D. alumnus (1980) whose administrative career took him from chair of the UC Davis Department of Entomology to provost of Arizona State University, is the recipient of the 2019 UC Davis Distinguished Emeritus Award. “Robert Page is arguably the most influential honeybee biologist of the past 30 years,” Nadler wrote in his letter of nomination. The award, administered by the UC Davis Emeriti Association, honors outstanding scholarship work or service performed since retirement by a UC Davis emeritus. Page will receive the award — a plaque and a $1,000 prize — at a Jan. 28 luncheon hosted by Chancellor Gary S. May. At the same event, the chancellor and the association will honor the Edward Dickson Emeriti Professorship Award recipients for 2018: Caroline Chantry and Anthony Phillips, both of the Department of Pediatrics, School of Medicine. Excerpted from story by Kathy Keatley Garvey, writer and photographer in the Department of Entomology and Entomology. See the entire article here.